FREE Women Only Class Starts On Wednesday 30th July! 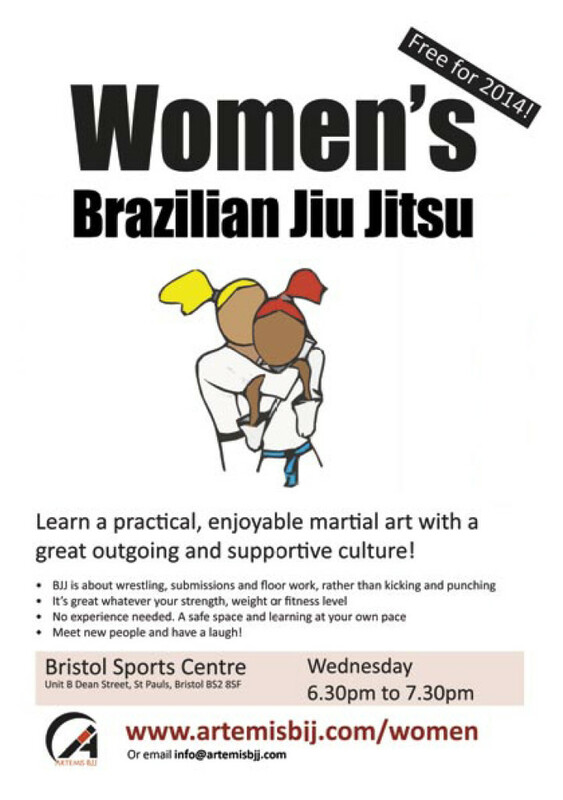 The completely FREE women-only classes will be added to the Artemis BJJ schedule from next Wednesday onwards, 18:30-19:30 at our Bristol Sports Centre location just off Portland Square. These classes will be staying free until at least the end of 2014. So, if you’re a woman who has any interest in martial arts, there has never been a better time to try out Brazilian jiu jitsu: we look forward to seeing you on the mats next week! Much more detail over on the main page for the women’s class, here.